Paulina was born in Morelia, Mexico. She developed an interest in dance at an early age. At the age of 15, she began ballroom dance classes with the group “Ritmo Latino,” director Javier Gutierrez Najera, learning such rhythms as cha cha cha, samba, cumbia, merengue, rock and roll, salsa… to name a few. Enchanted, her passion for dance exploded and she began training in classical ballet, jazz and gymnastics. At the age of 18, she was invited to be the partner of the very talented, professional dance teacher, Carlos Carmona, director of the “Salsabor” dance company in Mexico City. In the same year, she won her first national title as Salsa Champion in the 2005 “Acapulco Salsa Congress 2005”. Boosting her confidence and interest, the win incited Paulina to pursue more training in ballroom, tango, acting, singing, musicals and hip-hop in Mexico, United States, Canada and Italy. Paulina’s skills became increasingly valuable and so proven when she joined the different companies such as: “Salsa con Clave” directed by Gaby Bernal and Victor Burgos, “Salsamania” directed by Jhon Narvez and Liz Rojas in San Francisco California, also in New York with the dance company “Baila Society” directed by Daniel Ensank and Athoy Bon Pantoja. 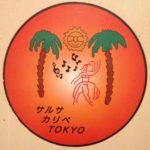 Her salsa training continues in multiple International dance congresses with private instruction from renowned salsa coaches such as Billy Fajardo and Katie Marlow, Tito Ortos and Tamara Livosly, Jayson Molina, Fernando Sosa, Eddie Torres, Alien Ramirez, Osmar Perrones, Gerardo Ramirez and many more. Paulina is part of the project “Dream Team”, a professional salsa team originally composed of World Salsa Champion couples “ON1 division” Rafael Barros and Carine Morais (Brasil), “cabaret division” Karen Forcano and Ricardo Vega (Argentina-Chile) and “On2 division” David Zepeda. “Las Bravas” is the new franchise created in 2016 from Paulina, this online training will help dance teams around the world to increase and develop their dance skill and showmanship. Presently she is one of the world represent of salsa in the professional level with 14 Mexican national titles, 6 World salsa champions and more than 8 international titles. 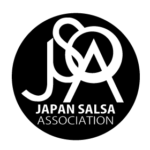 2nd Place – Toronto Salsa Congress 2015- Heats Hustle division – Toronto, Canada.